With a plethora of credit cards on the market, consumers may be drawn to companies and banks that offer the best promotion at any give time. While those deals might seem like a steal at first, the Consumer Financial Protection Bureau is concerned that companies aren’t clearly disclosing the costs and risks of those offers in a way that consumers can easily understand. 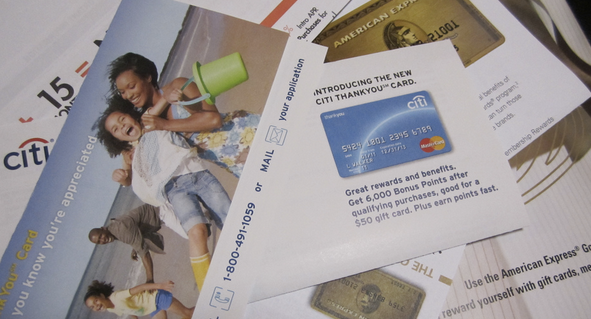 The CFPB issued a notice to credit card companies warning them that deceptively marketing promotions, such as zero interest balance transfers, convenience checks and deferred interest offers, could lead to legal action. CFPB examinations of large banks and credit card issuers found that some companies may be failing to adequately explain the terms of certain promotional offers, leaving consumers confused about why they are incurring new interest charges on their purchases. In the case of balance transfers, many companies attempt to lure consumers with zero interest promotions. However the CFPB says that some companies’ aren’t telling consumers that transferring an outstanding balance actually increases interest rate charges for new purchases. And while a free grace period promotion that allows consumers to incur no interest on purchases may seem like a bargain, it comes with a few strings attached. Sure, consumers who sign up for these cards and pay off their balance each month may enjoy a period where they do not have to pay interest on purchases. But if a consumer has an outstanding balance, the grace period doesn’t apply and they are charged interest on all new purchases. Often the only way consumers can avoid interest charges on new purchases made with this kind of credit card is to pay off their entire statement balance, including the promotional balance and the new purchases, by their monthly billing due date, which can be quite costly. • Avoid the interest: Consumers that do not carry a balance can take advantage of promotional rates and avoid unexpected interest if they don’t make new purchases with the card until they pay off the entire balance. To avoid interest charges on new purchases, these consumers should consider paying with cash, debit, or another credit card that doesn’t have a balance. • Make payments on time to avoid surprise charges: Consumers should be sure to make payments on time. For promotional and deferred interest balances, consumers should pay off the entire balance before the end of the promotional period. • Compare the interest rates among credit cards: Consumers that carry a balance on all their credit cards should compare the interest rates among their cards to decide which is the best deal for new purchases. These consumers should also consider paying for new purchases with cash or debit.